Our thoughts and sympathy are with the injured and bereaved from the collapse of the Rana Plaza building in Dhaka on 24th April, with several garment factories in full operation inside. So many things which could easily have been avoided came together. More than 1,100 people were confirmed dead before the rescuers had to give up the search, the number of seriously injured is many times that, and every one of those will have families and others who were depending on them for their income. Thanks to a huge mobilisation of support, with over a million people signing campaign petitions around the world, many of the largest fashion retailers sourcing in Bangladesh have signed up to the Bangladesh Safety Accord, a programme of making factory buildings safe, proper inspections, fire escape facilities and safety training. It is essential to let these retailers know that you expect them to carry through on this promise after the story fades from the headlines. 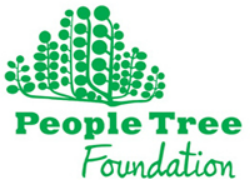 People Tree Foundation is collecting emergency donations for those affected, to be distributed via our partner in Bangladesh the National Garment Workers' Federation. All funds which are given for this fund through the Bangladesh Donate button below will be passed on to our partner in full (after fees charged by Paypal or banks). National Garment Workers' Federation (NGWF) has campaigned tirelessly for better working conditions, factory safety, better wages, and worker knowledge of their rights. People Tree Foundation and our sister NGO in Japan, Global Village, have been supporting NGWF for over 15 years.